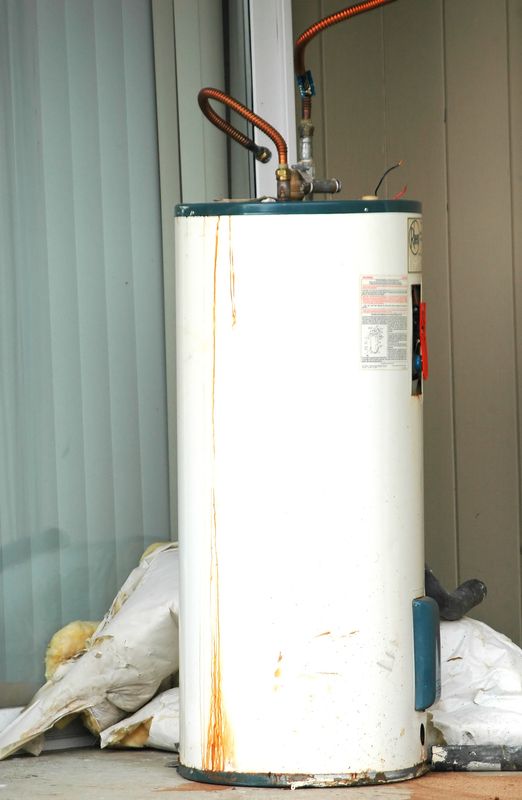 Your hot water heater may need attention. If you’re like most people, you don’t think much about your water heater. As long as it works, no problem, right? Not necessarily. The first sign it’s on the blink might be a cold shower, or worse yet, a flooded home or apartment. Most warranties are 6-12 years. If yours is expired, think about replacing it. If you rent, ask your landlord about the warranty, especially if the heater is in your unit. At my previous apartment the water heater was in my unit. It started leaking at 3:30 AM. Fortunately, I was able to call the landlord and he took care of it. If I had been away the leak could have gone on for days, flooding my unit and possibly the one below. If needed, turn the temperature setting down to avoid scalding. Turn the shower on to the hottest setting. If you can’t hold your hand under the water, the water heater temperature setting is probably too high. Check the manual to see how to turn it down. Most people find that 120 degrees is enough. Bonus: Turning the temperature down will save a little on your gas or electricity bill. If the manual is missing try searching the web for instructions under your brand and model number. If you need a new water heater, here’s what to look for. Thankfully, you shouldn’t have to shop for a water heater more than once every six to twelve years. But when you do, here’s what to look for in hot water heaters thanks to the U.S. Department of Energy. Read the reviews before you buy. Not all water heaters are created equal. Once you know what to look for, here are some water heater reviews to help you shop. Find more links you can really use. You’ll find hot water heater tips and more links you can really use in the Home & Garden category at HabiLinks, our human edited web guide. HabiLinks are chosen for content quality, never paid. We’ve done the searching for the best hot water heater information so you don’t have to.